The Darkest of the Hillside Thickets get an entire chapter in The Strange Sound of Cthulhu: Music Inspired by the Writings of H. P. Lovecraft by Gary Hill. Explore it on Cth-lulu and learn a few things about how Lovecraft has inspired generations of musicians! 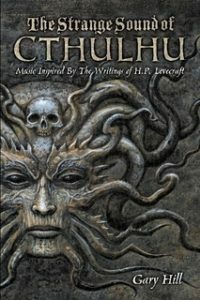 Arguably no other author has inspired more musicians than has Howard Phillips Lovecraft. Here, for the first time, is a book documenting the music inspired by the works of this literary genius, with insights provided by the artists. The book features a foreword by H. P. Lovecraft expert S. T. Joshi and cover artwork by Joseph Vargo.